Picture the scene. It’s a wet and windy Tuesday night in High Wycombe as Wycombe Wanderers play host to Torquay United in a mid-table League 2 clash. As the clock ticks into the final minute of injury time the hosts concede a needless corner. The ball is crossed in high through the driving Buckinghamshire rain as a Torquay striker peels away from his marker to power in a heart-breaking late equalizer. The home manager slumps back into his seat, his head falls into his hands as a stream of expletives rush from his mouth. In reality I can imagine this scene is quite different from the one you have just pictured. The home manager in question is not sat on the home-sides bench; he’s sat in my living room, still with his head in his hands, and still turning the air blue at his players’ late capitulation. I am that home-team manager, and I am addicted to Football Manager. If you are familiar with the Football Manager series, or even the early Championship Manager games, you may feel some sympathy for my plight. If not then I can imagine you may be laughing at my embarrassing reaction to a simulated goal on what has often been called a ‘glorified spreadsheet’ by various non-believers. My actions may seem amusing, but I am far from the only one who has lost many an hour to this virtual football world. I was first introduced to the series back in 1996 as a naive 11 year old that was still relatively new to football. Little did I know at the time that some 14 years later I would still be as hooked as I was back then. The game has a strange hypnotic sensation that has left many men uttering the immortal words “just one more game” as they look at the clock drifting past another hour. The world of Football Manager is huge, and as it has evolved over the years it has consistently improved on what was already a winning formula back when it began in 1992. Much of this is down to Sigames constant interaction with the Football Manager ‘community’. Currently the Sigames forums have nearly 200,000 members, and a quick Google search will show you just how many fan sites already exist. Nearly all improvements and changes to the games across the years can all be traced back to these forums and websites. Sigames listens to its gamers, and the longevity of the series alone points to the benefits of this, other games manufacturers would do well to follow a similar path. 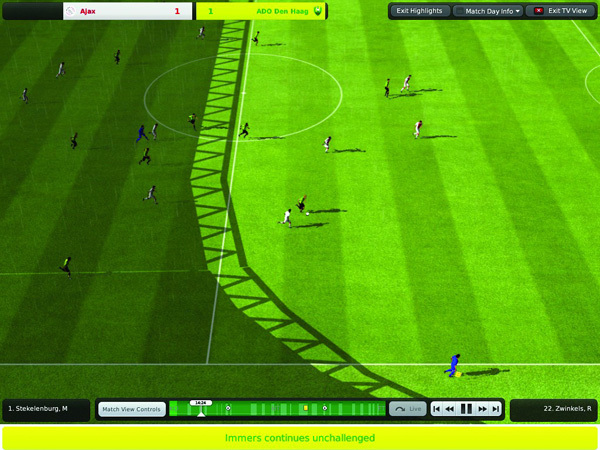 If you have the patience to familiarize yourself with Football Manager you will quickly understand how deeply rewarding – and incredibly frustrating – this game can be. Before you know it many hours will have past in what feels like only a matter of minutes, and you will be fully immersed in this world that so many enjoy. From the outside it may still seem difficult to understand just what is so appealing about Football Manager, but to any enthusiastic football fan who is yet to experience the game, I urge them to give it a try, just don’t say I didn’t warn you! 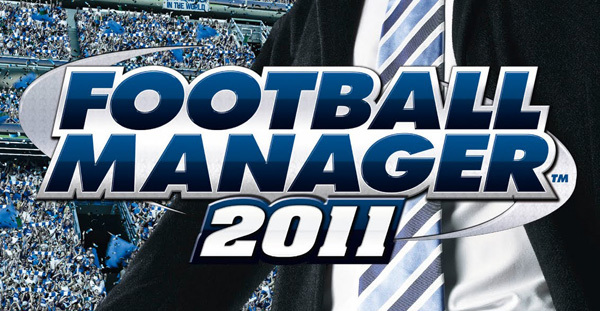 The Football Manager 2011 demo is now available to download on Mac and PC from http://www.footballmanager.com/demo. The game itself will be released on Friday 5th November. 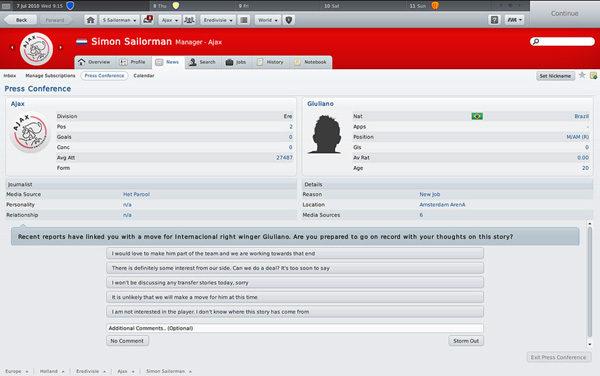 This entry was posted in Thoughts and tagged football manager, guest article. Bookmark the permalink.